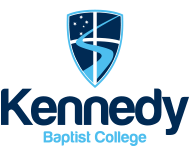 Beedawong, Kennedy's cafeteria and dining room has chosen to use Our Online Canteen system to provide an easy and convenient way of ordering your child's meals. Eftpos facilities are available for staff, students and parents to purchase items at Beedawong Cafeteria. Minimum purchase is $2 and only the card owner can make purchases on their card. The Cafeteria is open for breakfast at 6.30am, recess at 11.00am and lunch at 1.05pm. All online orders are to be taken before 9.00am. Click here to find out how to order online. We need volunteers in the Beedawong kitchen this term. Please drop in and see our fabulous facilities! We have two shifts available: mornings 8.30am - 11.15am or afternoons 12.50pm - 2.00pm. Beedawong utilises cashless payments with SmartRider cards, which display the student photo, able to be used at the cafeteria in place of cash to purchase a range of healthy snacks, lunches and drinks. Students can top up their cafeteria credit on their SmartRider before school or during the latter part of the lunch break (1.15 - 1.30pm). If parents prefer to come in and personally upload cafeteria credit, they are welcome to do this any time between 7.30am and 2.00pm. Credit added to the SmartRider at the cafeteria will only be available to put towards purchases in the cafeteria. Cash is the only form of payment that may be used for credit top-up. Please note that SmartRiders without a student photo will not be accepted due to security restrictions. Cash will continue to be accepted at Beedawong.